So, a point I’ve probably made fairly clear at this point that the world has a horrible habit in showing its true self in the most complicated way, to me. More recently the world has become some mercilessly complex its been getting harder and harder to keep up, but after months of trying i may have finally figured out a puzzle i thought i would never understand. A puzzle not of the world and the forever changing society we find ourselves in, but of the people living in it- us basically. Truth is, for as long as i have reverberated around this puzzle i have come no closer to figuring it out, the idea of “needing” and “wanting” a particular connection or relationship or a certain desire to be a part of your life, the more i think about it, the more confused i become by it all. The idea of “needing” someone in your life because of what they give you or what they make you feel be it on a regular basis or in the times you spend together has always been a difficult thing to concede to, for it feels almost like an emotional dependence on that person, like them being the person you imagine them to be, the person you choose to believe they will always be, has to be there in some way for you to be content, and subsequently happy. Take my new connection, which as i write this is not as new now, but she makes my point. We talked a lot through various different methods and i find myself wanting her in every way i know and the other ways i didn’t even think i was capable of. However to need her denotes some form of positive emotional dependence, a way of avoiding negative emotions and avoiding pain in some far flung idea that if you have something powerful, something beautiful you don’t really ever have to feel down, to lose yourself in the negativity again. However, i have become astute enough to know being down and out, being lost in my own head is always going to find a way back in, for life is not always supposed to be good, whether she is a part of my life or not. I say this like its a bad thing but at times i’m glad the negativity finds its way back in. Why? Because this way i understand how much good there is in my life. 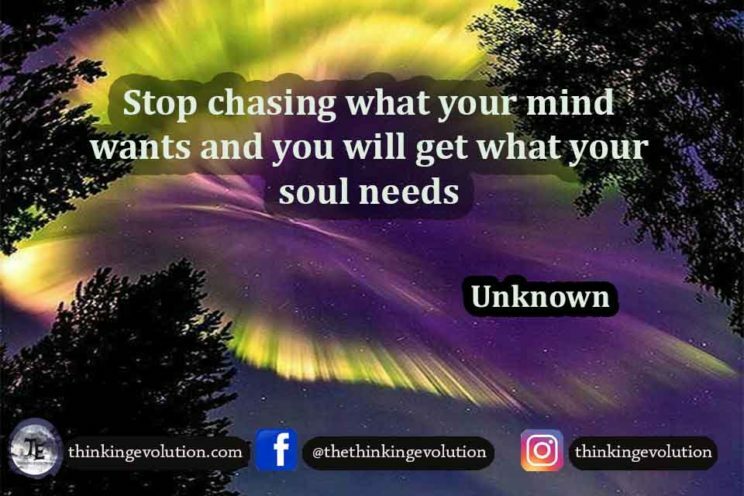 These ideas- “wanting” and “needing” are remarkably similar, what we want and may subsequently need at certain points of a connection with a person, be it in a friendship, a family orientated connection or with a person you care about deeply to the point where they mean a lot to you. You can be confident and live to your own beat, do what you have to do and live life to the fullest without the need for people whatsoever, but the resulting loneliness can be more destructive than any “want” or “need” imaginable. For we need to feel this pain, this heart wrenching soul crushing destruction to see what how much higher we could reach, if we could believe in the “risk” we are taking to take ourselves higher than we ever thought we could go. We don’t need people, but we want to share our lives with someone. This seems an obvious thing for we have, in my opinion, a need to find happiness. We cannot find happiness in emotional dependence, for this is like holding a great weight and simply passing it on to the person in question, for life could be so much more, especially these days if we simply took one end of the weight and them the other. A connection you have with someone who wants to be a part of your life and subsequently wants to make your life a much more beautiful, powerfully emotionally positive place is surely a remarkable thing, for all of sudden things don’t seem so heavy. To want, and to need has never been to do with people, its to do with the emotional make up of me and you that gives us the ability to think and feel better feeling thoughts. We can want and need for anything, if we can choose to be open to life, to sharing it with those we care about, be it in relationships, friendships and in your family. You be open to the world and open to the potential beauty those connections could offer, you won’t need for this or that, you will have desires to simply experience life. Get past wanting things, people and this idea we need people. We need to experience life, for this is what makes us who we are, with the added pleasure, wander and beauty of having someone along for the ride. This way you’re desire to experience life could be taken to that next level, sharing this moment with someone who needs for nothing more than being in this near perfect moment, with you. That’s where i think want lies for most people. That’s what true emotional desire really is. Previous postNew Years Resolutions- Change?